Michael Steele said Tuesday it’s a “mistake” that Sarah Palin doesn’t have a role at the Republican National Convention in Tampa. Governor Sarah Palin was a guest on tonight’s Mark Levin Show where she expressed her opinion on the machine’s (RNC) power grab in Tampa today to consolidate power at the national level and take away power from the states. 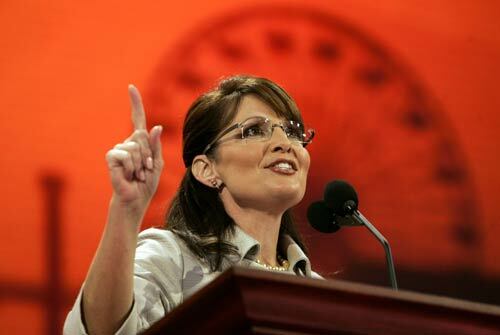 Palin likened the power grab to to a thump on the conservative grassroots activists. “Stiffen our spine individually and others around us will do the same and it will be the unity we need”. Kevin Fobbs posted this excellent exposé at RenewAmerica and on his homepage. What is America’s mainstream republican leadership in the RNC or the Mitt Romney presidential campaign afraid of, by not letting Sarah Palin take the podium? Are they in dread that Sarah Palin will wow the convention and America by drawing from her deep well of passionate and fervent feelings for America’s families suffering in the heartland? Does the Romney campaign feel somehow skittish that she will make a better case against Obama’s growing nightmarish handling of America’s economy and his intentional goal to undermine the U.S. constitution, than Romney or Ryan can? There are a lot of questions but no real honest answers available. One answer to these lingering questions is a petition, you can sign and circulate to show your support for her continued conservative leadership and need to speak at the upcoming Republican National Convention. Supporting her is a matter of principle not political gamesmanship. Let your principles and voice be heard. After all, Governor Palin’s leadership has been, and continues to be genuine, principled, and unselfish. She has forgone the insider politics as usual approach, and instead has embraced the Tea Party’s inclusiveness and grassroots focus on conservative issues and solutions that have been neglected by the glad handing backroom political dealmakers of either party. So forgive Sarah Palin if her tireless campaigning for the past several years has been to build a new sense of political, social and fiscal issue empowerment that translates into real grassroots power. It seem that since the epicenter of power has shifted from Washington D.C., the liberal pundits and certain GOP elected officials have decided that Palin’s commitment to grassroots political power is both something to be feared as well as neutralized. Now is not the time for Romney and Ryan to head into a presidential campaign battle with their fingers crossed hoping that Palin’s conservative supporters will somehow transfer their support for her to the GOP team, because of Ryan’s vice presidential selection. This notion misses the point completely. Leadership and rallying troops is not like trading horses. This is not a time for political games playing. President Obama has launched an all out assault upon the American Constitution, and he has shown that he will take it apart piece by piece, with executive orders as often as he deems necessary. In battle, you don’t leave a field general at home in war, because you fear her command leadership will outshine you. This is war for America’s future not a beauty contest! After this presidential election has long been logged into the annuals of digital history, those who will inherit the results of this election will either live in a nation severely economically and constitutionally diminished or a nation rescued from the brink of socialism and biblical principle abandonment. In 1976, then, Governor Ronald Reagan understood the need to fight to preserve an America, 100 years from then. At that time, President Gerald Ford and Ronald Reagan had fought for the presidential nomination, which President Ford won. Instead of being bitter about the political combat and preventing Reagan from taking the convention podium, President Ford offered Reagan the opportunity to speak to an America that was in crisis. Reagan’s speech added to the energy of the convention and helped to set into motion a new and refreshed vibrancy within the conservative movement. Sarah Palin is carrying the message that millions in America’s heartland are waiting for. An election is won with more than a focus on numbers and budgets or hundreds of millions of dollars spent on television attack ads. It is won in the grassroots campaign trenches found in Ohio counties and Pennsylvania coal fields and in the farmlands of Iowa, Indiana and Illinois and in the kitchens of homes in Texas, Colorado, Michigan, Florida and so many others. Sarah has been in the trenches and has worked tirelessly for the election of Tea Party backed conservative leaders like congressman Allen West of Florida, New Jersey Governor Chris Christie, U.S. Senator Rand Paul of Kentucky and New Mexico Governor Susana Martinez, and many, many others. Sarah is keeping the faith for everyone in the nation’s heartland for the present and America’s future. You can actually help to “Let Sarah Speak.” By sending the RNC and the Romney campaign a message and sign the petition to “Let Sarah Speak.” Conservatives can send a message that like Reagan, you want to keep the faith for your family and America’s future. 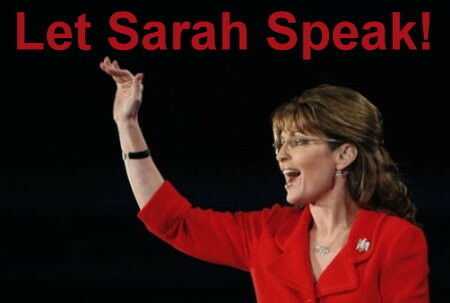 Help get the word out to other conservatives and let Sarah Speak. To sign the petition go to my page and find the “Click Here” link. It’s not over until its over. The world’s greatest geopolitical, economic and investing experts are gathering to lead you to profits and safety during the dangerous days ahead. There has never been an investing environment presenting greater risks or opportunities. 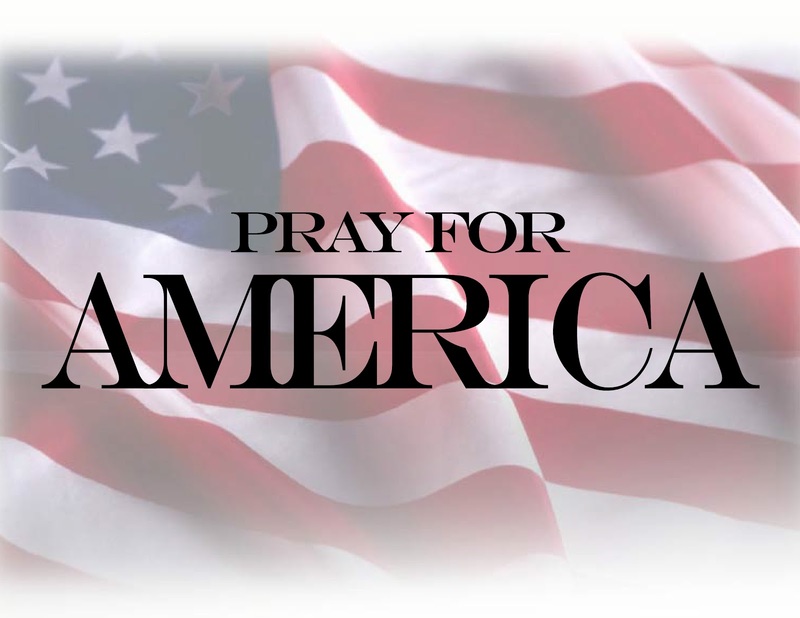 With the most important national elections in our lifetimes rapidly approaching, America will turn either to the left or right, toward greater or lower national debt, toward more or less government. And the problems will remain severe no matter what the outcome, as the entire Western world struggles to recover from decades of over-spending. Experienced investors know some special investment sectors perform well even in the most troubled economy, not only protecting wealth, but building it during the turmoil. Fortunately, we’ve assembled a dream team of world-class experts who are ready, willing, and more than able help you do just that — at the 2012 New Orleans Investment Conference. As the oldest, most respected and most profitable investment gathering in the world, the New Orleans Investment Conference has led thousands of investors to rich profits through thick and thin. For nearly 40 years, investors have attended to get answers on how to protect and grow their wealth. This event has attracted dozens of the most celebrated figures in modern history, including Lady Margaret Thatcher, Alan Greenspan, Milton Friedman, Barry Goldwater, Ron Paul, Ayn Rand, Steve Forbes, Henry Kissinger and many more. We’ve also established a well-earned reputation of inviting only the most successful and deadly-accurate analysts — many of whom save their best recommendations to unveil on our stage. And we’ve brought together the most sophisticated and successful individual investors — mavericks who don’t follow the herd, but rather search for valuable, unhedged and unbiased information. Previous attendees will attest that the New Orleans Conference has never failed to deliver stock picks that double…triple…even quadruple in value during the weeks and months following the event. Due to the unprecedented risks and opportunities presented by today’s volatile markets and the upcoming U.S. elections, we’ve assembled a true dream team of experts to speak at this year’s Conference. The agenda is super-charged with legendary experts, powerful presentations and exciting events you’ll talk about — and profit from — for years to come. From small-town mayor to governor of Alaska to vice-presidential candidate, Sarah Palin’s remarkable story of achievement has inspired millions of Americans. Her unswerving support of personal liberty and family values has earned her a loyal following and made her one of the most influential figures on the political scene. In New Orleans, Gov. 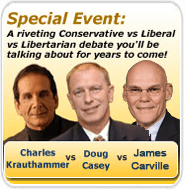 Palin will participate in our Summit on America’s Future panel with Charles Krauthammer and Rick Santelli, and give a rousing closing address. In the process, she will reveal the dire stakes in this year’s national election, and what you can do to prepare regardless of the outcome. 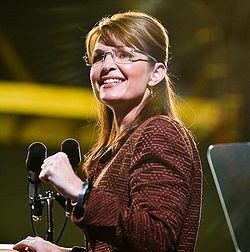 It seems that Governor Sarah Palin will have huge presence at the 2012 Republican National Convention. The release of the required FEC Disclosure Report for SarahPAC reveals a deposit of $4,500.00 for space at the Channelside Bay Mall. This action creates questions for this writer with regards to the size of the space, the length of time Governor Palin will have space and whether or not this will this be a public venue or a private area for interviews and special guests. You can find other stories related to this topic at Politico and at the Tampa Bay Times.